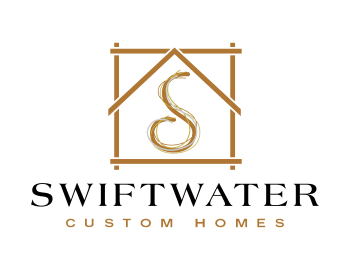 Swiftwater Custom Homes is dedicated to understanding our client’s needs and turning their vision to reality. We are committed to guiding and inspiring our clients from initial design through completion with regular communication, professionalism and personalized management. From the first sketches on napkins to well after occupancy, our team is there for you, every step of the way. Jeff Hansell & Don Watts have been a part of Suncadia since the resort opened in 2004. Jeff, a homebuilder with over 35 years of experience and Don, a very successful businessman and founder of Swiftwater Cellars, decided to join forces in 2015 and launched Swiftwater Custom Homes. Jeff, Don and their wives are residents of Suncadia, active in the community and are focused on making Suncadia a premier destination resort and the best place for a resort home in the Pacific Northwest. Jeff grew up in a homebuilding family, learning about construction from the ground up. With a degree in Construction Management from the University of Washington, he started building homes in the greater Puget Sound basin in 1981. Having built literally hundreds of homes from Seattle to Mount Vernon, Jeff’s ability to create interesting and unique designs while staying focused on quality & budget became his hallmark. Active in the Builder’s Association, Jeff has recorded accomplishments at the local, state and national levels. He helped to create a national quality standard for all homebuilders to follow in 2003; the “Residential Construction Performance Guidelines”, which are still in use across the country today. Jeff has testified in front of the state legislature on many occasions as an expert to help guide new laws, rules and regulations. He served as President of the State Builder’s Association in 2006 and was elected to the State Builder’s Hall of Fame in 2013. Jeff started building in Suncadia in 2004, one of the 1st builders in the resort. Jeff and Lori moved to Suncadia permanently in 2010 after deciding that they wanted to focus on building in Suncadia and Tumble Creek. Living in the community in which you build has a unique perspective as a homebuilder. Jeff likes to say “I get to know all of my clients, who all become friends of ours. When we drive by, they wave, and they use all of their fingers when they do”! Don started his career farming in the Tri-Cities area of Washington State, growing potatoes on a ½ of a crop circle in the late 1970’s. He grew his business over the years into one of the largest regional producers of potatoes and other vegetables in the region. He eventually expanded into food processing & packaging, selling his product world-wide. A pioneer in the industry, Don introduced management principals and technical innovations that have been adopted in the agricultural industry as standards across the country. Don also identified previously unused areas of his farm as the perfect place to plant wine grapes, which would end up spilling over into another career. Don sold his company in 2006 to ConAgra. He kept the wine grapes…..
Don & Lori built their home in Tumble Creek in 2005. They’ve been an integral part of the community since then. After selling their business in 2006, Don & Lori decided to build a winery in Suncadia, using the vineyard he kept as a starting point for Swiftwater Cellars. Not only did Don decide to build a winery, he also wanted to create a hub within Suncadia with a great restaurant and bar, a boutique, a unique wine tasting facility and an extremely popular event and wedding venue. Swiftwater has become the “place to go” in Suncadia for great wine, great food and a great time. Build homes for our clients that are creative and unique. Use sound business management practices and constantly communicate. Define budgets and schedules with no surprises. Deliver top quality workmanship. Be the expert for our clients with regard to appropriate design, proper materials, budget & schedule management and the most current technology and design trends. Swiftwater Custom Homes has a top notch team of construction professionals that will help make your dreams a reality. Contact us to discuss Suncadia and Tumble Creek, via phone, email or over a glass of Swiftwater Wine!